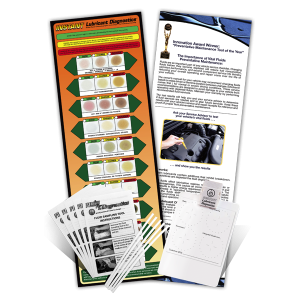 Five each 6” Teflon Fluid Sampling Tools and five each Testing & Diagnostics Instruction pamphlets with Science & Technology Overview. 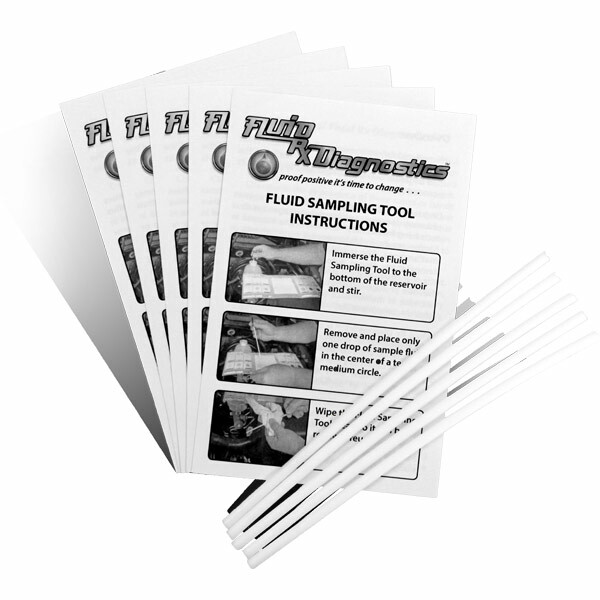 The Fluid Sampling Tool Teflon rods provide a reusable and easy to clean tool for sampling fluids. 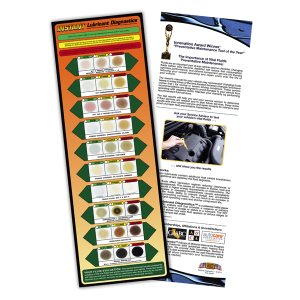 They are especially helpful for sampling Brake & Power Steering Fluids and Gear Oils. 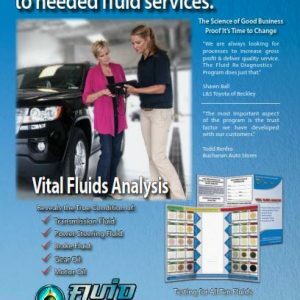 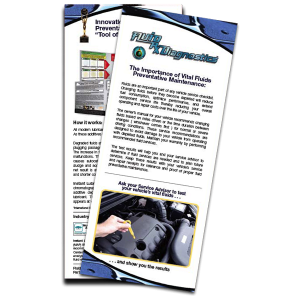 The Instruction pamphlet has pictures of how to sample fluids and provide an overview of the Science of Fluid Rx Diagnostics, Testing and Analysis instructions and the benefits of performing fluid preventative maintenance.